We don’t always have the time nor the stamina to tend to our laundry on a regular basis, much more the entire laundry room. This is especially in the case when you have a handful of kids and other responsibilities to attend to. And before we realize it, we’re confronted with a stockpile of laundry that’s cramping our washroom. It’s time to change this scenario without wasting precious space and time. We present these practical and efficient laundry storage solutions to maintain an orderly and efficient laundry room. The most common storage method for laundry that you will see in the west is definitely a laundry hamper. Laundry hampers are really convenient and you can actually store quite a bit of laundry inside of one. They come in many different styles, so you shouldn’t have any trouble purchasing one that will be visually appealing to you. You will be able to buy inexpensive laundry hampers that are made out of plastic, but it is also possible to find more ornate laundry hampers that are made out of materials such as wood. Some laundry hampers come with convenient extra features such as wheels and handles. Having access to features like this makes it much easier to tote your laundry hamper around when you need to take it somewhere. Not everyone owns their own washing machine and dryer, so it is beneficial to be able to roll your laundry hamper where you need it to go. If you regularly do your laundry at the laundromat, then you should probably look into purchasing a hamper that has some wheels. Regardless of what your laundry situation is like, this will be a convenient storage option for dirty laundry. The most common way to use a laundry hamper is to set it in a bedroom or bathroom area so that clothes can be thrown inside of it once they are dirty. When the laundry hamper is full, you will then want to take it to your laundry area so that you can wash your clothes. It can be really helpful to ensure that every member of your family has access to their own laundry hamper, as otherwise, you will find that your hamper may fill up a bit too quickly for your liking. Almost everyone owns a laundry basket, as these have been the most prevalent method for transporting laundry for decades. When you need to carry your clean clothes from the laundry area and take them back to your room, this is the easiest way to do that. A good laundry basket is going to be able to hold many clothing items and you will be able to fold your items neatly before placing them inside. Grab onto the convenient handles of your laundry basket and carry it wherever you need it to go. Some people choose to use their laundry baskets as holders for their dirty laundry as well. They don’t work quite as well for this purpose, as they generally don’t hold as much as a laundry hamper would. Even still, if you don’t want to have to buy a laundry hamper, you could also store your dirty laundry in a laundry basket. Laundry baskets are very inexpensive, so you will be able to buy several of them at a very reasonable price. It can be beneficial to have one laundry basket be specifically for dirty clothes and another be used for your clean items. This way you won’t feel like you are putting laundry back into a laundry basket that was recently housing soiled laundry. You want your clean laundry to be as fresh and nice as possible, so this will be a good method to use. 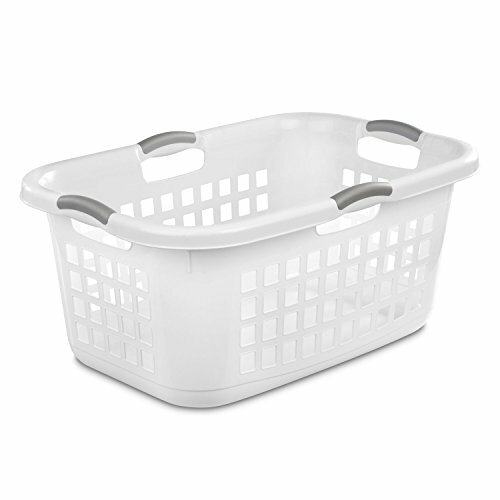 The most common laundry baskets that you will see are made out of plastic and they are quite sturdy. You will also be able to find laundry baskets that are made out of materials such as wicker or even heavier woods. There are those who want their laundry baskets to look a little more visually appealing, and there are options that will work well in that regard. Buying a wooden or wicker basket does provide you with a very nice looking basket that you won’t feel embarrassed to show off at the laundromat. Using products that are made of cloth has become increasingly popular in recent years. This is due in part to concerns about the environment. There is a section of the population that is shunning products made out of plastic in an effort to get corporations to shy away from using this material. 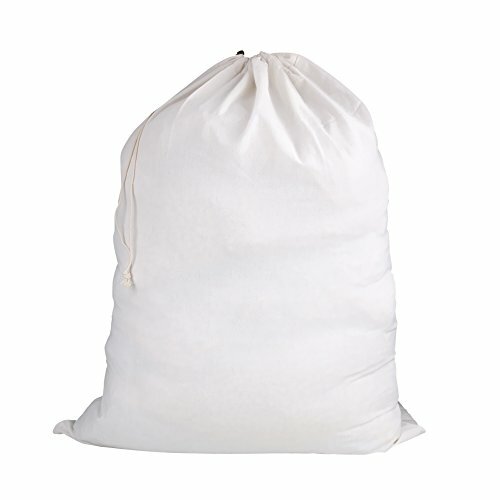 Cloth laundry bags will definitely appeal to these types of people, but it is useful for more reasons than simply being made out of cloth. You will find that this laundry bag can be very useful for people who live in small environments. If you want to be able to store your laundry effectively, but you are working with very limited space, then you should consider getting one of these bags. You can hang this laundry bag on the back of your door and simply throw laundry into it as needed. Once it is filled up, you can grab it by the drawstring and carry it to the area where you do your laundry. This type of laundry storage solution is ideal for people who live in dormitories or small apartments. When you only have so much space available to you, it is essential to make the most efficient use of it. Being able to hang a cloth laundry bag on the back of your door is a sensible choice and you will find that it works well. There are some aspects of this method that aren’t as appealing, such as the dirty laundry potentially having a smell that will seep into the cloth bag. You will want to wash your cloth bag from time to time. It can also be smart to use a deodorizing spray product on the bag itself when it is empty. This can help to mitigate any smell problems and you will have a more pleasant time using it. Try to avoid putting damp laundry in the bag unless you are going to be taking it to be washed right away. 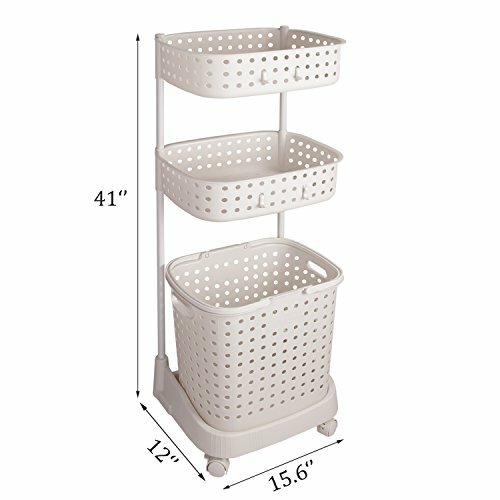 Laundry storage carts are excellent for storing large amounts of laundry. If you are the type of person who accumulates dirty laundry quickly or if you have a very large household, then this storage method should appeal to you. Laundry storage carts are sometimes still referred to as hampers, but they are on a different level. These storage carts are much larger and are capable of storing an entire family’s laundry in many cases. 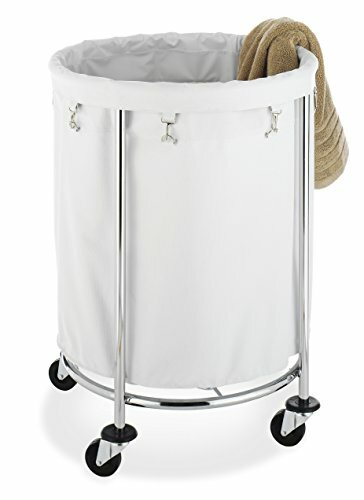 You will often find professional laundry services making use of these types of laundry storage carts. They’re really useful as they can fit a lot of clothing and they are easy to cart around. You will be able to simply pull them to the laundry area and will have a nice time sorting out your laundry from there. Businesses, such as hotels, make use of these laundry storage carts to gather all of their linens that they have to clean on a daily basis. 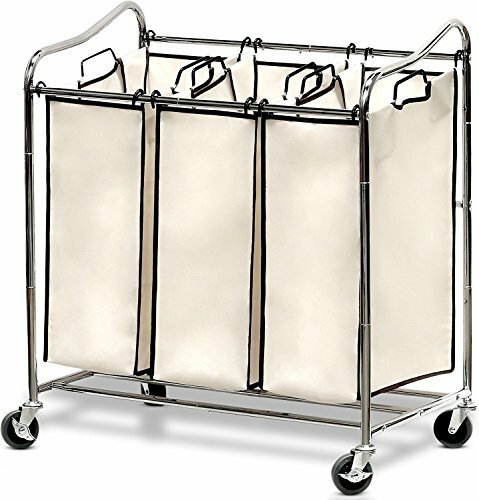 Whether you are a business owner or a proud member of a large family, it can be useful to own a laundry storage cart. When you purchase one of these, you won’t have to worry about figuring out where to put your dirty laundry. You should always have room in one of these large carts. It may not be the most practical method for smaller living spaces, of course. If you want to be able to store your laundry in something that is a bit more substantial, then you could decide to purchase a laundry cabinet. The big appeal of this type of an item is that it looks really nice. It has the style of a nice piece of furniture that you wouldn’t mind placing just about anywhere in your home. Looking at it without knowing what it is, you would never assume that this cabinet is meant to house laundry. You open up the cabinet and you will notice two sections that are like little hampers. You will be able to put all of your clothing items in there and it will tuck them away quite nicely once you close it back up. This is an interesting way to keep your dirty laundry out of sight and you will be able to buy something that looks really good in your home. This appeals to people who want something that is aesthetically pretty, yet still functional. The problem with this type of laundry storage shows itself when you need to transport your laundry. 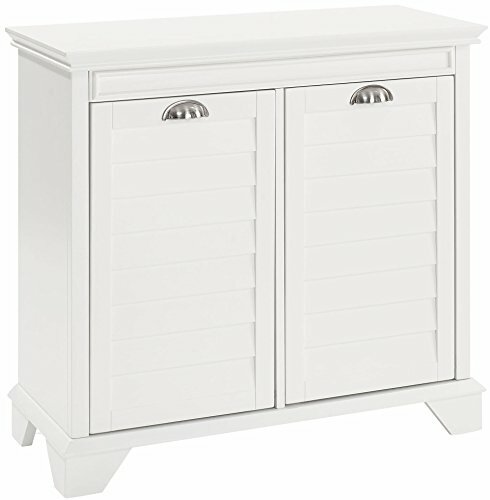 You could place this storage cabinet close to where you do your laundry, but it might not make sense in that area visually. This looks like an item that would be in a living room or a bedroom. To make proper use of this item, you will need to transfer the dirty laundry from the laundry cabinet to a laundry basket. This extra step will keep this item from being all that appealing to some people. Even still, the look of this laundry cabinet is quite nice. If you want to hide your dirty laundry in plain sight, then this method is a really interesting way to do that. It looks great and you will be able to fit a fair amount of laundry inside of it. Buying a laundry organizer is going to help you to store your clean laundry a lot more easily. It can be useful to put this laundry organizer close to your laundry area so that you can easily hang things up. 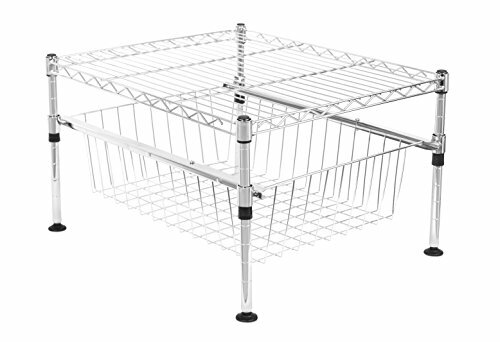 This has some similarities to a laundry rack, but it isn’t quite the same thing. This is a space where you can organize your different types of laundry and keep them safe. You will be able to hang up some items that need to be stored that way. There will also be shelving spots that you can make use of to house other laundry items. Some people use this type of a laundry organizer as a bit of a catch-all, keeping their laundry soap and other items on one of the shelves. How you decide to make use of it will be up to you. Installing a laundry shelf somewhere in your home might be a good idea as well. Some people like to put little laundry shelves in their bathroom so that they will have a place to put their towels and washcloths. This is a great idea as it will make it a lot easier to grab what you need when you’re going to take a shower. Installing a laundry shelf such as this is really easy too, so it won’t be an onerous task. You can even purchase some laundry shelves that will sit on top of another shelf or can be placed directly on the floor. Buying a shelf that has legs and doesn’t require any installation just makes the process that much easier. You will be able to start putting your towels and other items on the shelf right away, solving your bathroom laundry storage problems. It can be really convenient to own a laundry rack. If you live in a home that doesn’t have a lot of closet space, then you can still have the convenience of being able to hang up your clothing items. 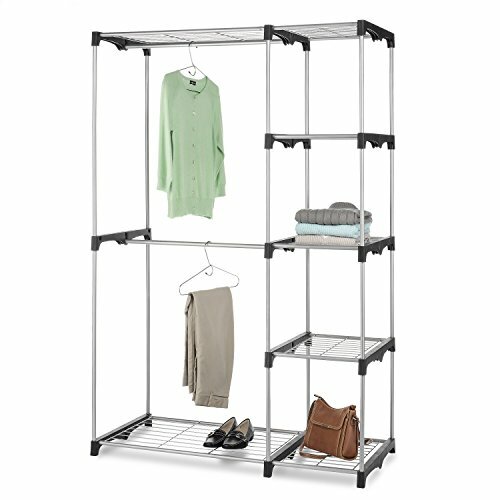 Laundry racks will allow you to hang up important clothing items that need to be hung in order to be kept properly. Clothing items, such as suits and expensive dresses, aren’t things you will want to fold and tuck away in a dresser drawer. Some people decide to place one of these laundry racks right by their laundry area. This allows them to be able to hang clothes up right away after they are done being cleaned. There are benefits to doing this, as sometimes you can avoid needing to iron something if you hang it up right away after it has dried. Either way, you can see how having a laundry rack could be very convenient for your situation. 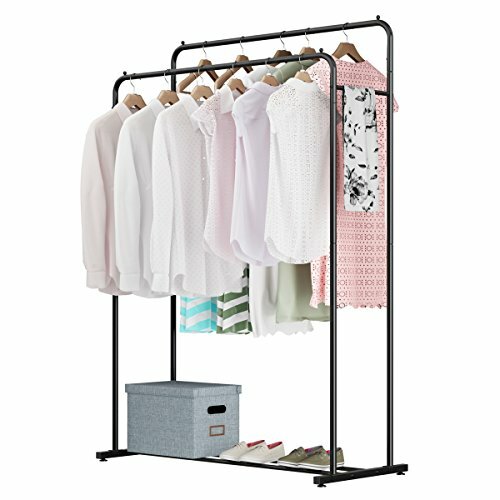 If you want to be able to hang your clothes, but simply don’t have the closets to do it, then you should look into this. Buying a laundry rack won’t cost you too much money and it will definitely come in handy. You can hang up your dress clothes and keep them tucked away somewhere safe. It will be practical to use something like this to hang normal items too, so you may be interested in buying more than one. Laundry hampers are definitely one of the most convenient storage options for laundry that you can purchase. It is probably the easiest way that you can take care of your dirty clothes on a daily basis. 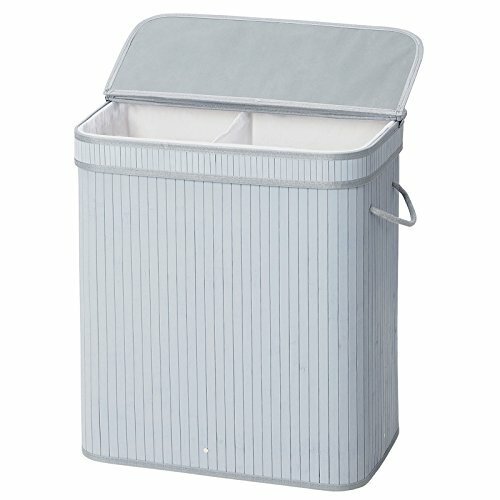 One problem that people run into when using these laundry hampers is that they will need to remove the laundry in order to separate the clothes into categories. Many people separate light and dark clothing items to wash them separately. Luckily, it is possible to purchase a very convenient laundry hamper that has two separate sections inside of it. This will allow you to place dark laundry on one side of the hamper and light colored laundry on the other side. You won’t need to take the extra step of dumping your laundry on the floor to separate it before you wash it. Just remember to throw your laundry in the side that you have appropriately designated for light or dark. Rolling hampers are really convenient to have. If you are going to buy a laundry hamper, then conventional wisdom will say that having it be able to roll will be beneficial. You will be able to transport your hamper so much easier if it has the capability of rolling. The little wheels on the bottom will allow you to lean it back and you can then grab onto the handle to pull it where you need it to go. This is nice and simple, so you will always have an easy time transporting your laundry. This type of feature is really good for people who live in apartments and have to haul their laundry to a designated laundry room. Not having to carry multiple laundry baskets will make your life much easier. Rolling hampers are similarly useful to those who must use laundromats. Even if you do have a washing machine and a dryer right in your home, a rolling hamper will still be useful. You can easily pull your hamper right to your laundry area and conveniently throw all of your dirty clothes into the washing machine. You won’t have to fumble around with a laundry basket and you will likely save yourself a bit of time. 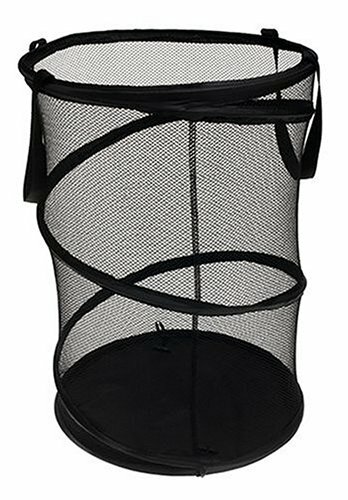 Having a laundry hamper that is collapsible will definitely be very useful to you. These types of hampers are usually made out of mesh material and they can hold a lot of your laundry. You can store dirty laundry in them and then when they are empty, you will be able to collapse it if you need to make some space. 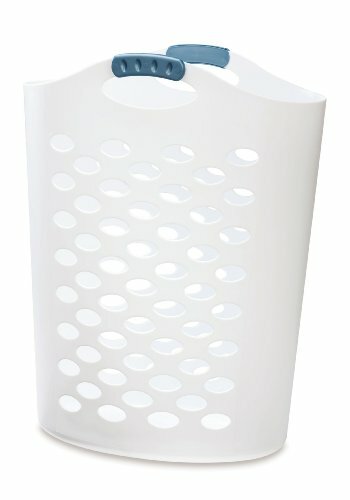 People who live in small environments like to have the flexibility that is offered by these collapsible laundry hampers. You will be able to transport these types of hampers very easily when they aren’t full. When you need to fill the hamper up, you can simply bring it out and start filling it with laundry. These hampers are affordable and very useful. This is a recommended option for anyone who lives in an efficiency apartment or a college dormitory. Sorting can be made even simpler when you have access to a laundry cart that has different compartments. Laundry storage carts are excellent when you have a significant amount of laundry to do on a regular basis. Purchasing one of these styles of carts that has sorting compartments just makes things even easier. This particular cart has three different sections that you can take full advantage of. This will help you to easily sort your laundry into different categories. You can separate your light and dark laundry items like you would normally do. It is also possible to take things a step further and use one of these sections simply for towels and washcloths. The way that you decide to sort your clothing and laundry items are going to be up to you, but having three different compartments is certainly going to come in handy. It is possible to disguise a laundry hamper to make it seem like a nice little bench. Bench laundry hampers like this are visually appealing and they will be able to house a lot of laundry for you. The top opens up and you can easily access the laundry at any time. The bench isn’t too heavy either, so it is possible to carry this from one room to another without having issues. 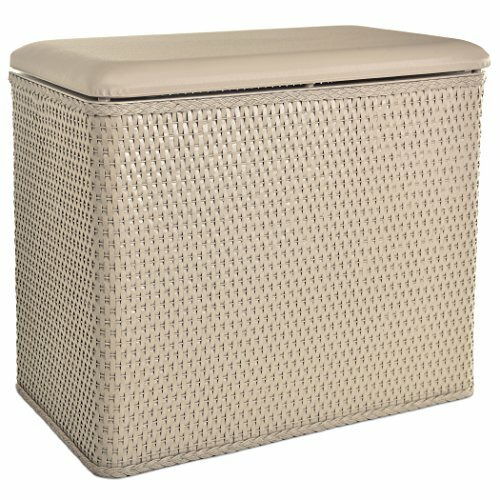 You will find that some of these bench laundry hampers are strong enough for a person to sit on. Other types of bench laundry hampers may not be able to take the weight of an average adult, so you should be mindful of the material it is made out of and the overall durability of the hamper. These are mostly made to look nice, so you will want to be careful with it. It can add a lot of charm to your laundry room or it can be placed in your bedroom while looking quite natural. Finding places to hang your clean laundry isn’t always the easiest thing to do. When you are working with limited space, you will need to get creative sometimes to see the best results. One of the most intriguing ways that people are creating a bit of extra space for laundry storage is with these door hangers. These are incredibly simple to make use of and you will be able to hang several things on this type of a hanger. A laundry door hanger simply slips on the top of your door and gives you a spot where you can hang things. Some people use them to hang towels so that they can use them for more than one day. 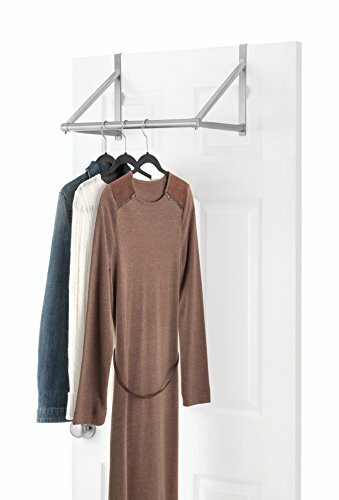 Other people like to use these laundry door hangers to hang their coats or light jackets. You can really use them to do whatever you want to do, as it is simply a way to give yourself some more laundry storage options.